The resources on this page can help families identify facilities that can meet their children’s needs. On the map, click on a jurisdiction to see information about schools in that area, or click on the list of counties below. 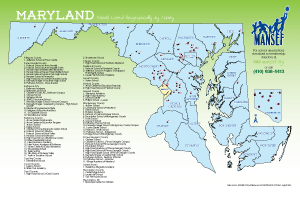 The MANSEF Membership Directory also has detailed information about nonpublic schools in Maryland serving young people with special needs.